Scent: Rich, sweet, fruity, slightly woody with a hint of vanilla and a subtle camphorous note. Benefits, Indications: Used for wound healing (pain relieving), gout, rough and dry skin, skin infections, coughs (especially with thick mucus), inducing menstruation, menopause, regulating and balancing menstruation, ovarian and uterine cysts. Also used to ease anxiety, nervousness. Precautions: High ketone content. Avoid use with small children, elders, epileptics, pregnant and/or nursing women. Intraspecific variation in essential oil composition of the medicinal plant Lippia integrifolia (Verbenaceae). Evidence for five chemotypes. Constituents of Artemisia indica Willd. from Uttarakhand Himalaya: A source of davanone. Gas chromatographic analysis of essential oils with preliminary partition of components. 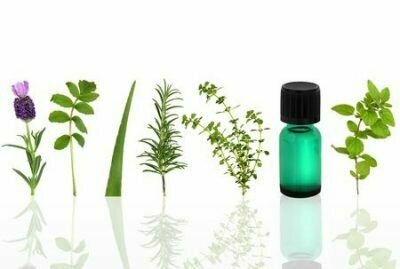 Influence of plant growth stage on the essential oil content and composition in Davana (Artemisia pallens wall.). Anthelmintic activity of the essential oil of artemisia pallens wall.